Thank you for joining me, pull up a seat and make yourself at home. Let's chat. As Clark Kent is to Superman, Lynn Newberry is to Anne Rouen (with the exception of super powers and more of a need to avoid name confusion with an existing author). By day, as Lynn, I breed Brangus cattle and play with my horses on a quaint valley farm in the New England region of NSW. As the sun sets behind Mt Borah, I whip into my little stone hut, grab a pen and paper, and emerge into the world as Anne Rouen—and so, my fervour for writing is entertained. A country girl through and through—I'm well acquainted with the outback lifestyle. From the Pilliga to New England (with a stint in outback Queensland), rugged, isolated, yet beautiful, landscapes have been the backdrop to my life. In line with my dedication to the land, I completed a specialist teaching degree in the Rural Science Department of the University of New England (Armidale), and, as a consequence, teaching and horse riding have decorated my life. 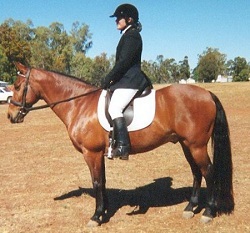 I've experienced success in State and National Dressage competitions and took great pride in training my own horse "Kumara" to Grand Prix level. My obsession with all things equine also inspired my early writing voice—in the form of opinion pieces. I've had a bit to say, now and then, in the horsetalk section of "The Horse Magazine". Having read widely from a young age, I've been motivated by many authors—none more so than Georgette Heyer and Agatha Christie. 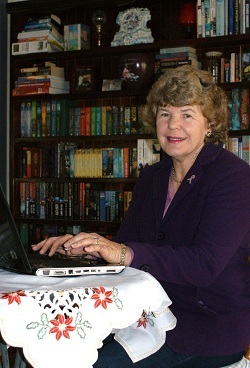 The long hot summers and pure isolation of life in outback Queensland provided an ideal environment to put my enthusiasm for writing into action, and so, my alter ego, Anne Rouen, was born. As time progressed, I was dealt an incredible blow: I faced a battle with breast cancer. Little did I realise, the cancer disguised a hidden gift: time to write.